Eco Pampa Hotel Palermo is the first Eco- friendly hostel that works with the environment to optimize the use of natural resources. With a genuine commitment with the environment and the ecology. We respect the 3 Rs: Reduce, Recycle and Reuse. 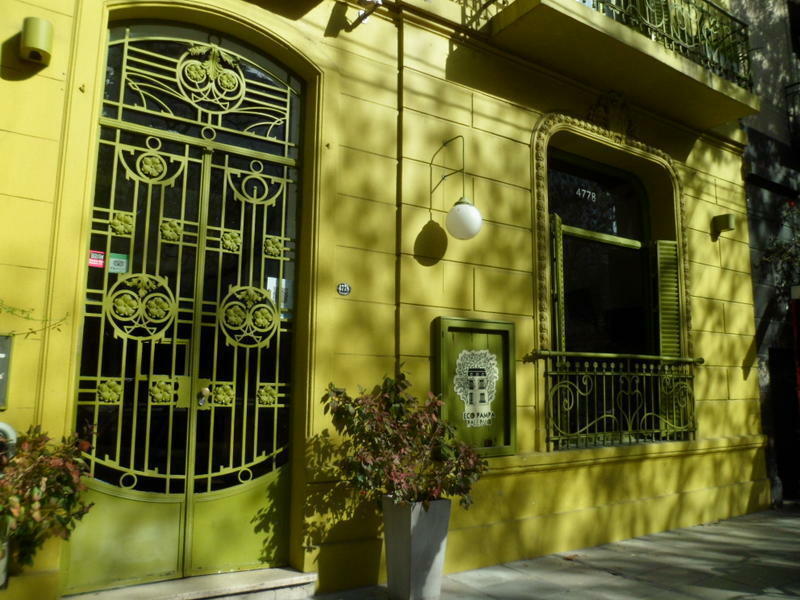 Located in the heart of Palermo Soho, neighborhood of design and urban art. Eco Hostel Boutique: boutique floor, with exclusive services in its rooms. Eco Hostel: we offer shared rooms, double rooms with private bathrooms. Exclusive in bar highly equipped for entertainment, fun and contact with people from all over the globe in a cool environment. We make events on Friday and Saturday, with different music, different plates of food and delicious drinks. We are near Av. Santa Fe, where you can find lot of buses and metro to go to the main parts of the city.